HND Programmes admission 2017/2018 at Delta State Polytechnic, Otefe-Oghara has commenced. Applicants should take note. 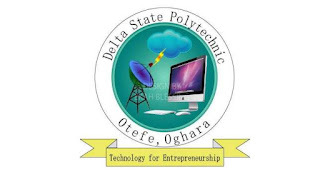 Delta State Polytechnic, Otefe-Oghara HND Programme Screening for all courses will hold on 11th and 12th September, 2017 at 9am in the various Departments. (iii) 4 recent passport sized photographs with one each attached to the application/screening form and the two acknowledgement cards.